Take a deep breath and relax with these free mandala coloring pages just for the adults. In just a few minutes time, you'll have a mandala all printed out and ready to be colored. 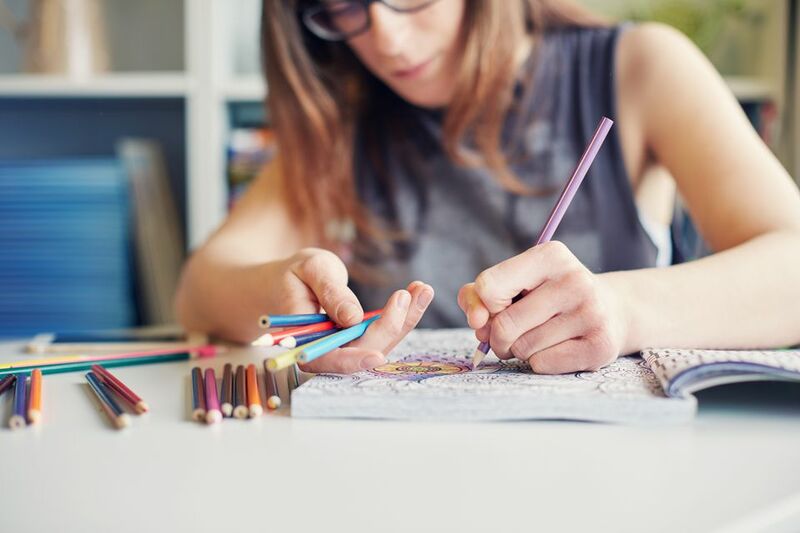 Many adults now color as a way to relax and get creative. These mandalas, with their patterns that flow and swirl, are especially helpful in calming your mind and encouraging you to let go of your day. There are more than 1,000 mandala coloring pages here, so you're sure to find something that catches your attention, whether you're new to grown-up coloring or you've been into it for years. There's a great variety of mandalas in every shape imaginable, from a circular one to even one shaped like your favorite animal. You'll love these unique mandalas, most in abstract form but some in geometric, floral, and animal form. You can find more free coloring pages for grown-ups if you're looking for more coloring fun, relaxation, and creativity. These include all kinds of adult coloring pages with animals, flowers, abstract designs, inspirational quotes, and more. Our favorite type of pens to use when we color are Staedtler Triplus Fineliner pens. They are smooth and pigmented, and we can't recommend them enough. There are a lot of fancy papers you can print them on but we prefer regular copy paper. Use your kids crayons or markers if you'd like, you'll be surprised at what nice results you'll get. Monday Mandala has close to 70 free Mandala coloring pages that include intricate lines, swirls, and curves of both abstract and nature-based designs. This website is clean and simple and it's easy to find and print the mandala you'd like to color. Coloring Pages for Mom has more than 50 free mandala coloring pages made especially for the grown-ups. Scroll through the pages of the coloring pages until you see a mandala that you'd like to color. You'll see floral, animal, circular, geometric, and more unique mandalas in all sorts of shapes and sizes. Click on the thumbnail to get the larger version of the coloring page and then use the link to get a full page mandala without any ads. There are four pages worth of mandala coloring pages over at Coloring Castle, each more interesting than the last. There are mandalas here that feature hearts, stars, circles, sun, moon, butterflies, art deco design, peace signs, flowers, palms, stripes, pearls, and many more abstract designs. It's very easy to print these coloring pages, just click on the thumbnail to open the PDF file. Then you're all ready to print and color. Hello Kids is one of our favorite go-to spots for coloring pages and it doesn't disappoint in its collection of mandala coloring pages. In fact, these are all considered "expert" mandalas. Besides the abstract mandalas, there are also mandalas featuring a lion, turtle, and an owl. Hover over each coloring page to get a closer look and click when you're ready to choose one. Use the Hello Kids' tools to print the coloring sheet or color it online. You'll love browsing the collection of free mandala coloring pages over at BoredPanda because besides having the coloring page, there's also a scanned image of the mandala colored in. This gives you some inspiration and an idea of just how intricate the design will be. Mandala designs include paisley doodle, flower and leaves, paisley, oriental, peacock, dragon eye, framed flower, and garden. You'll need to click on the mandala coloring page thumbnail to get the largest version and then copy the image into a word processing or photo editing program in order to print without any ads. Coloring Home has a ton of free mandala coloring pages and they've indicated their most popular designs with a red banner. There are floral, abstract, geometric, and animal mandalas here in varying difficulty levels. There are some really unique ones here that you won't want to miss. Click on the mandala thumbnail to get a large image of it and then use the red button to print the coloring page from your browser. Super Coloring has a whopping 370+ free Mandala coloring pages in categories such as Tibetan, Celtic, Floral, Abstract, Star, Geometric, Native American, Animal, Easter, Halloween, Christmas, and more. You'll find both simple and advanced Mandala coloring pages here as well as a section of recently added ones. You can choose to print the Mandalas or color them online. Just Color has a group of advanced Mandala coloring pages that include ones inspired by Japan, nature, movies, music, animals, and various designs that will have you in coloring bliss. 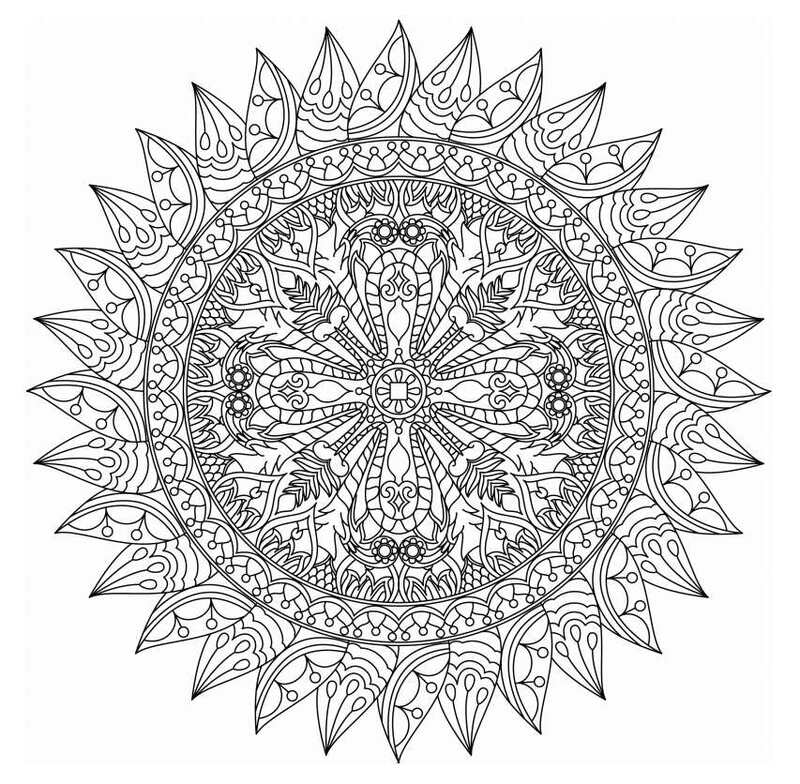 There are 8 pages of Mandalas here to color so you're sure to find something you like. Click on a thumbnail and then use the "Print" or "Download" buttons and get ready to color. I love how these free mandala coloring pages are organized. You'll find them listed under categories of characters, flowers and vegetation, geometric patterns, zen and anti-stress, and animals. As an added bonus, these mandalas are also organized by difficulty level - easy, normal, difficult, and very difficult. This makes it easy if you're new to coloring mandalas or if you're looking for something a bit challenging. To print, click on the thumbnail and the use the printer icon to open up your browser's printer dialog box. You'll then be able to print the mandala just the way you'd like.